Playing marksmen has always been a matter of farming until late game and dominating enemy players with your ability to dish out absurd amounts of damage from a safe range. To go with this, most markmen usually pick up Heal to survive the early and provide some extra peel for late game. However, players are starting to shift over to Teleport to make sure they maximize their CS potential. How good is Teleport vs Heal though? Playing marksmen has always been a matter of farming until late game and dominating enemy players with your ability to dish out absurd amounts of damage from a safe range. To go with this, most markmen usually pick up Heal to survive the early and provide some extra peel for late game. However, players are starting to shift over to Teleport to make sure they maximize their CS potential. How good is Teleport vs Heal though? Faster rotation for tower siege pressure. No movespeed boost for offense or defense purposes. Largely speaking, if you don't think you can get a kill in lane and feel relatively safe, picking up Teleport is preferable to Heal for late game champions that need to farm instead of fight. However, if a champion like Draven has enough kill pressure even without Heal, Teleport still works very well. As you can see from the above, the stats for both summoners are relatively similar, meaning that choice is largely a matter of preference. 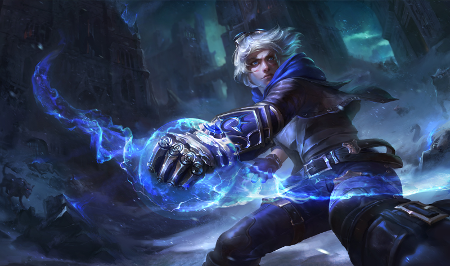 For a naturally passive laner like Ezreal it does seem to make a difference, but may depend on what supports are chosen. Meanwhile, Jhin seems to get a clear advantage from using Heal as a result of his passive and reload time. This allows him to make better use of the movespeed that Heal provides. Thoughts on Heal vs Teleport on marksmen? Which do you prefer? Comment below!